NuTone Blue is a true blue cosmetic colorant that performs beautifully in Melt and Pour Soap and Cold Process soap. 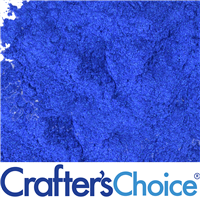 This blue powder has a slight shimmer and is a great staple color to add to your product line for any occasion! 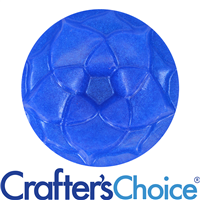 Our NuTone Blue Soap Color Blocks are soap bars with concentrated amounts of shimmering blue NuTone powder. Use to easily color melt and pour soap. This color bar produces a beautiful light blue color in clear MP soap bases. This Nutone Green powder color is the same green as the grass and treetops. Use this safe cosmetic colorant to create soaps with a true green color and a slight shimmer. Our NuTone Green Soap Color Blocks are soap bars with concentrated amounts of our NuTone Green Powder. Use to easily color melt and pour soap. 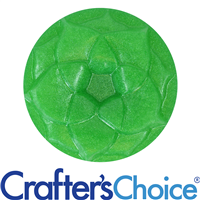 This color bar produces a shimmering, bright green color in clear MP soap bases. Nutone Magenta is a cosmetic colorant that is a true magenta color in soap and general cosmetics. We think this tone is great for coloring princess soaps, vibrant lip balms and shimmering hair gels. Our NuTone Magenta Soap Color Blocks are soap bars with concentrated amounts of magenta NuTone powder. Use to easily color melt and pour soap. 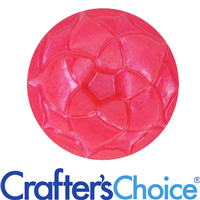 This color bar produces a bright, shimmering magenta color in clear MP soap bases. Use this navy blue colorant in your cosmetics and soap recipes. This color reminds us of the night sky! Navy NuTone powder remains true in color. Use our NuTone Navy Soap Color Blocks to easily color melt and pour soap! Soap bars contain concentrated amounts of our NuTone Navy Powder. 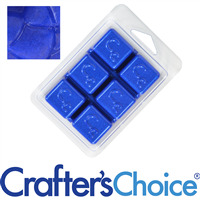 This color bar produces a deep blue color in clear MP soap bases. NuTone Orange Cosmetic Colorant is pairs perfectly with Orange and Pumpkin Fragrance Oils because it is a true orange tone. This color is also great for your Halloween product line. Our NuTone Orange Soap Color Blocks are soap bars with concentrated amounts of orange NuTone powder. Use to color melt and pour soap with ease. 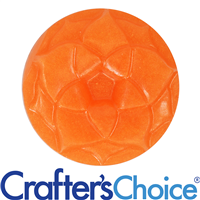 This color bar produces a bright, shimmering orange color in clear MP soap bases. NuTone Purple powder is pure purple and safe to use in general cosmetics and soap! This purple is great to pair with grape or lavender fragrance oils, and is perfect for any purple loving customers. NuTone Purple Soap Color Blocks are soap bars with concentrated amounts of shimmering purple NuTone powder. 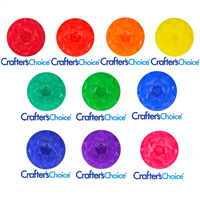 Use these to color melt and pour soap. This color bar produces a bright purple color in clear MP soap bases. Finally, a true red! We think this cosmetic colorant is our truest red. This color is as red as a firetruck and is great for Christmas Time and Americana soaps. NuTone Red is safe to use in soap, general cosmetics, lip products and more! Our NuTone Red Soap Color Blocks are soap bars with concentrated amounts of red NuTone powder. Use to easily color melt and pour soap. This color bar produces a bright red color in clear MP soap bases. 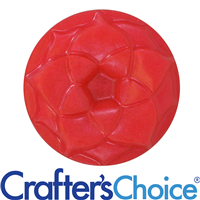 Our NuTone Scarlet colorant is a true scarlet tone, red with a slight orange undertone. This Scarlet cosmetic color reminds us of red hot candies! Pair with our Cinnamon Candies FO for spicy scarlet soaps! Our NuTone Scarlet Soap Color Blocks are soap bars with concentrated amounts of our NuTone Scarlet Powder. Use to easily color melt and pour soap. This color bar produces a bright scarlet color in clear MP soap bases. This cosmetic colorant is true to its name! This powder produces a sea green color in MP soap and CP soap. This tone reminds us of tropical waters that we can't wait to dive into! Use our NuTone Sea Green Soap Color Blocks to easily color melt and pour soap! Soap bars contain concentrated amounts of our NuTone Navy Powder. This color bar produces a beautiful sea green color in clear MP soap bases. Say Hello to a true Yellow! This powder color is as yellow as the sun and shining stars! Nutone yellow is a cosmetic colorant that is safe to use in general cosmetics, soap, nail polish and more. Our NuTone Yellow Soap Color Blocks are soap bars with concentrated amounts of yellow NuTone powder. Use to color melt and pour soap with ease. 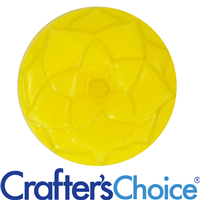 This color bar produces a bright, shimmering yellow color in clear MP soap bases.